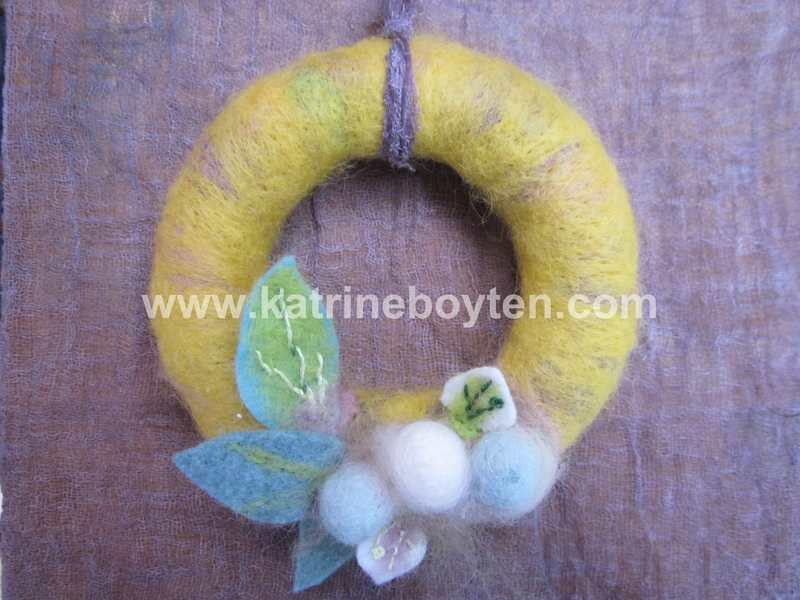 Had fun making this wreath, courtesy of a polystyrene ring, some wool tops, and a felting needle. 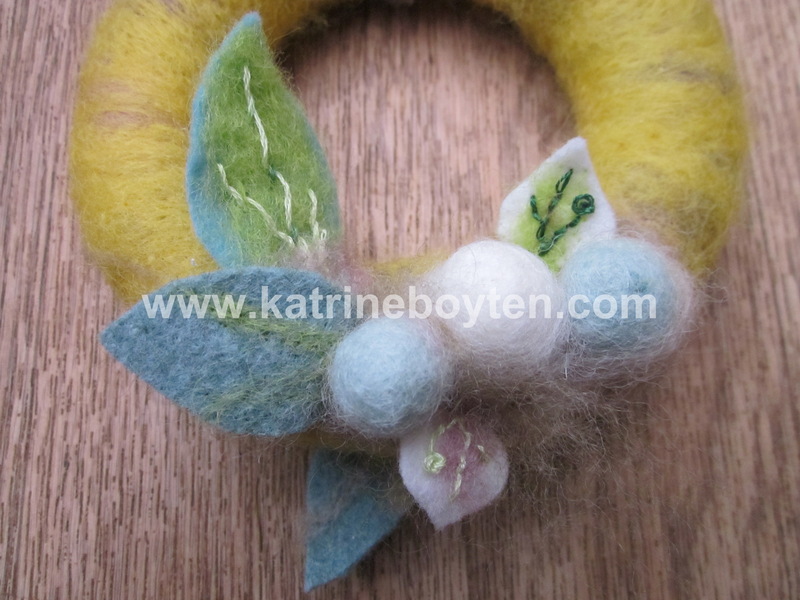 I demonstrated how to make this wreath to some adult learners and then they tried it out for themselves. It’s a very good way to get results very quickly and it’s a lot of fun Go on, have a stab at it yourself! 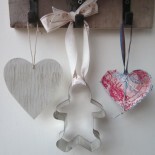 Decorated with hand-stitched leaves and felted egg shapes. This entry was posted on February 2, 2016 by katrineboyten.